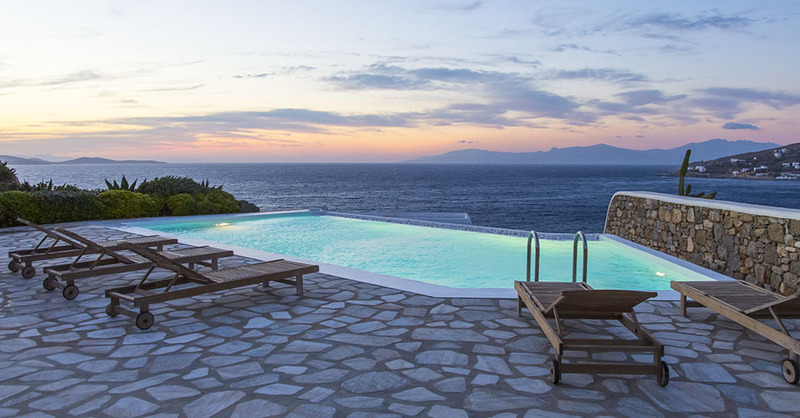 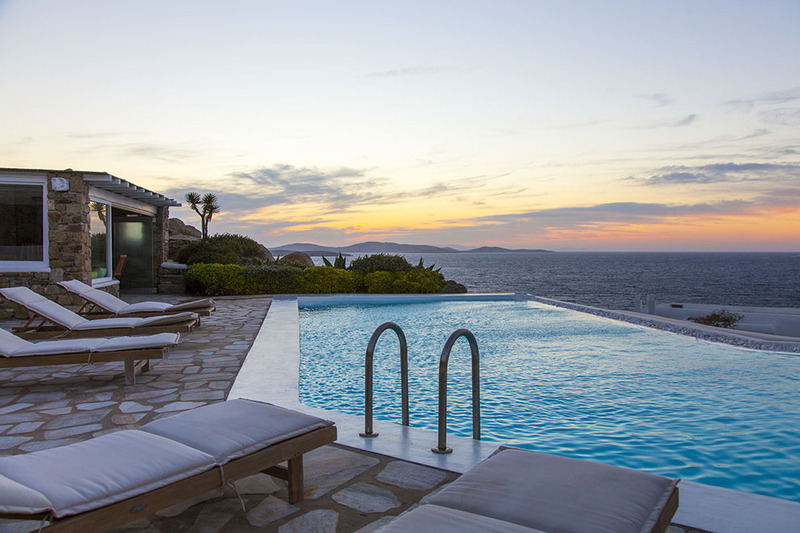 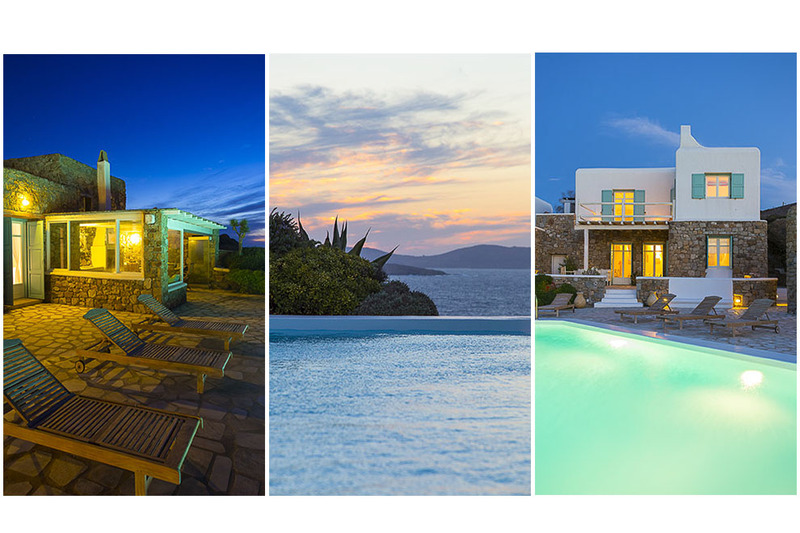 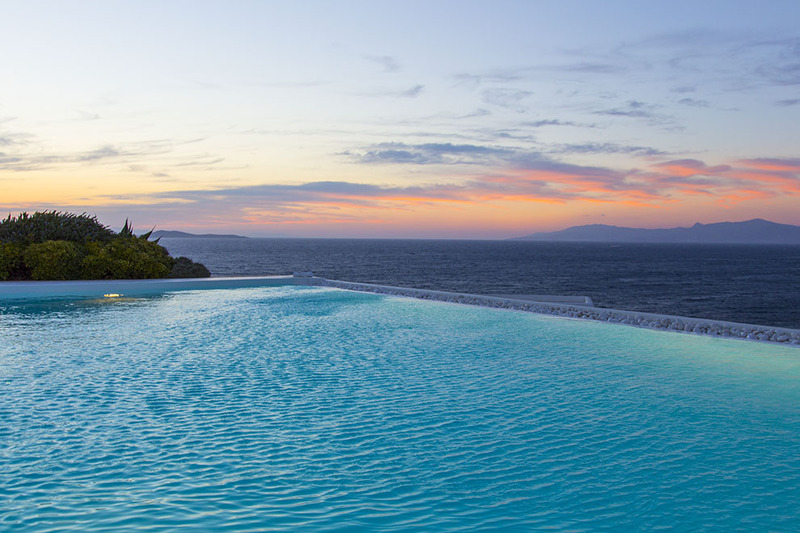 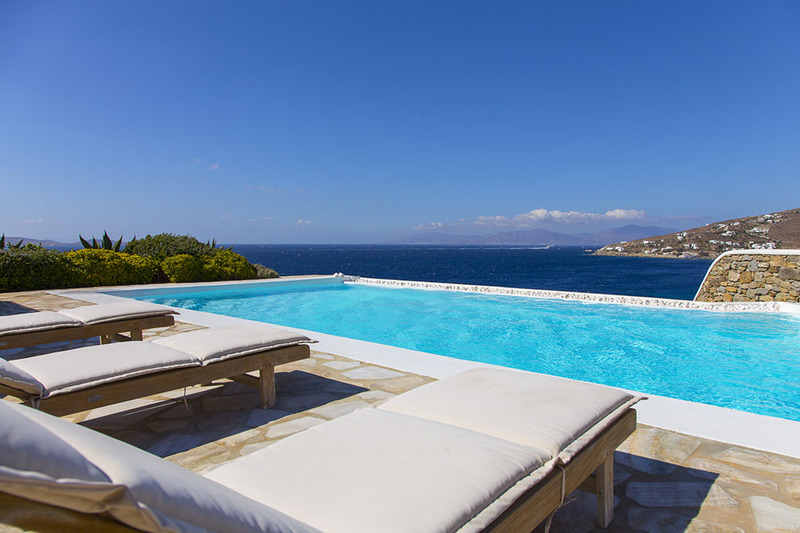 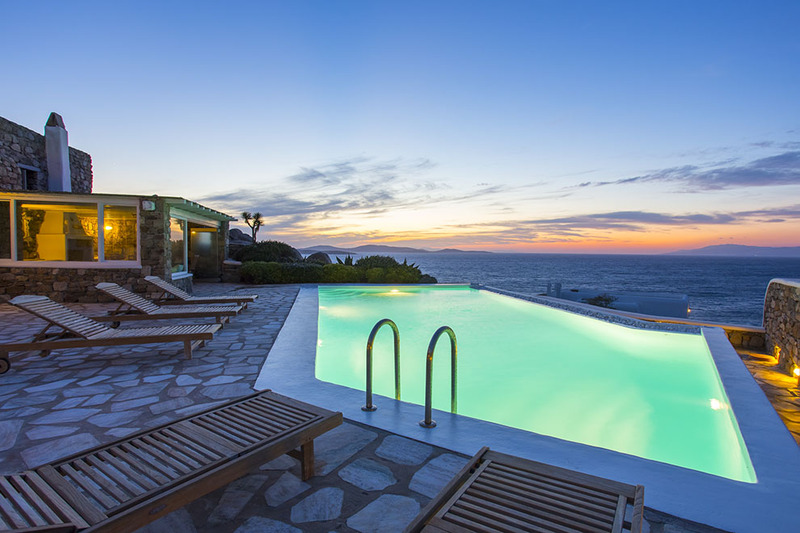 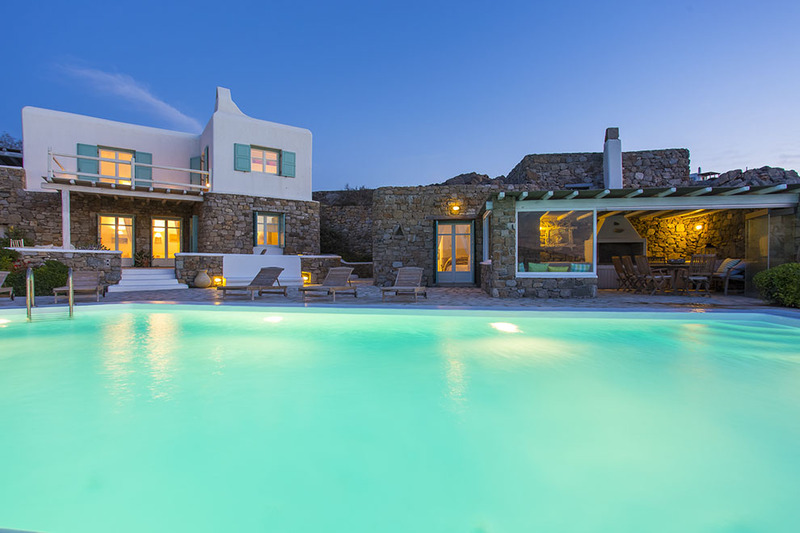 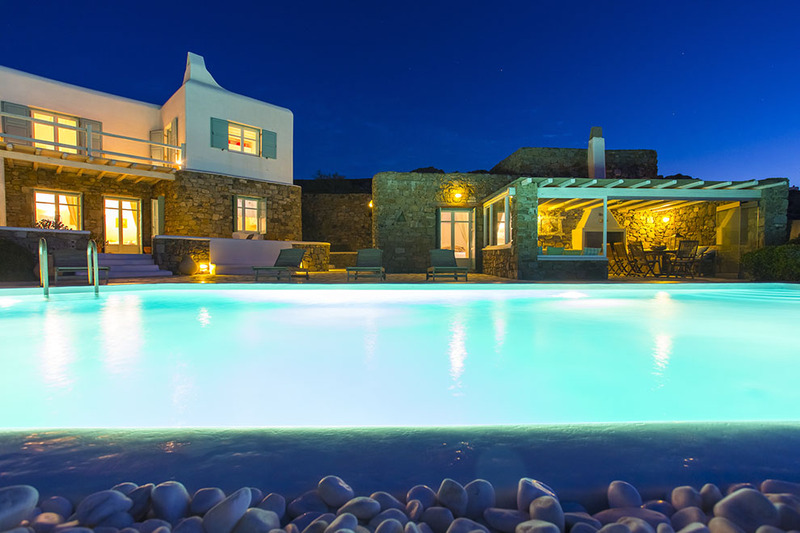 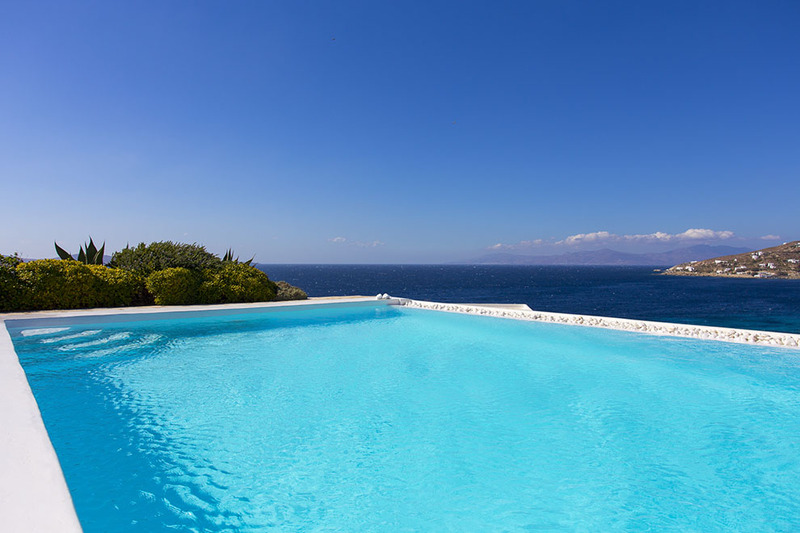 Close to the sea, the extravagant villa Sun Shine Two is situated at the sublime area of Saint John in the south-west side of Mykonos. 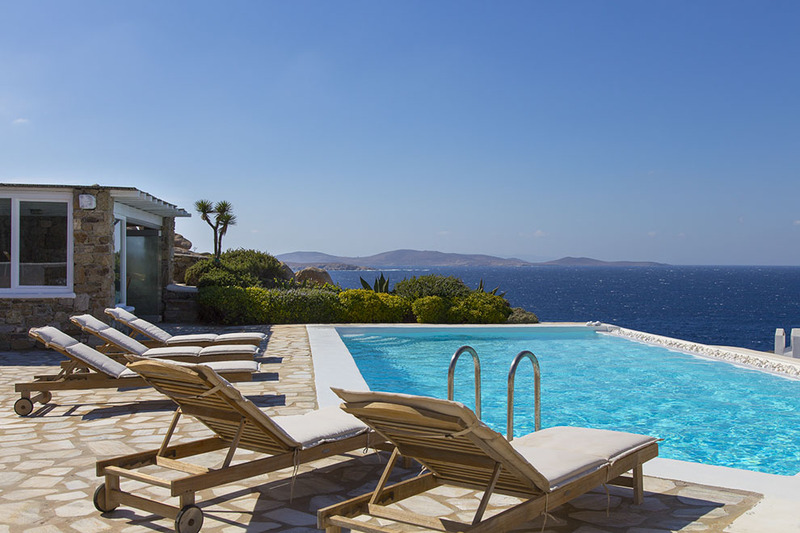 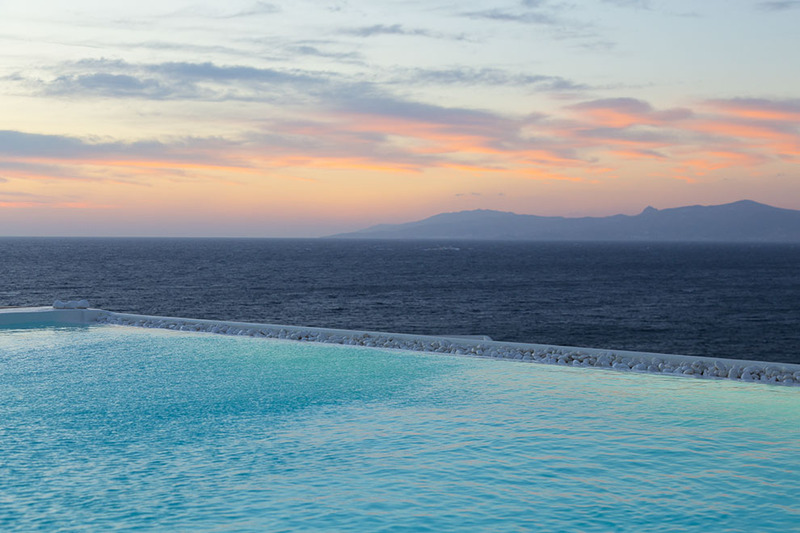 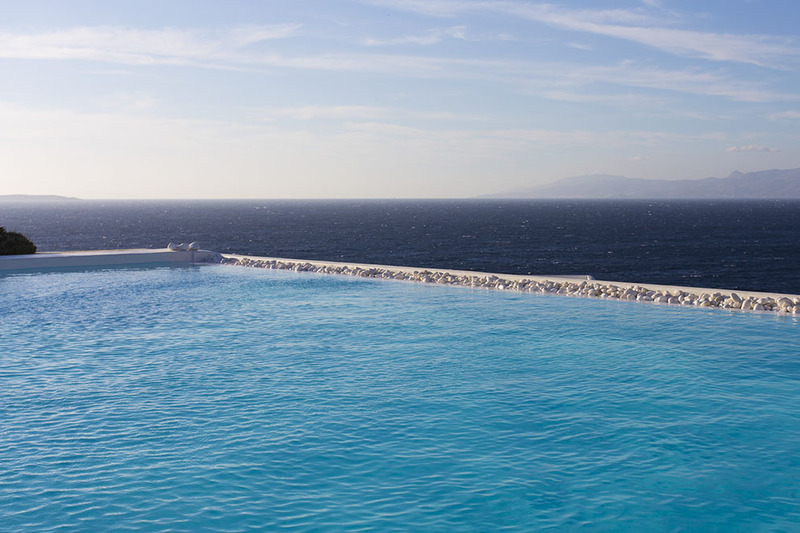 The splendid view towards the Aegean Sea and the ancient island of Delos, as well as the romantic sunsets, creates memorable moments of relaxation and mental exaltation. 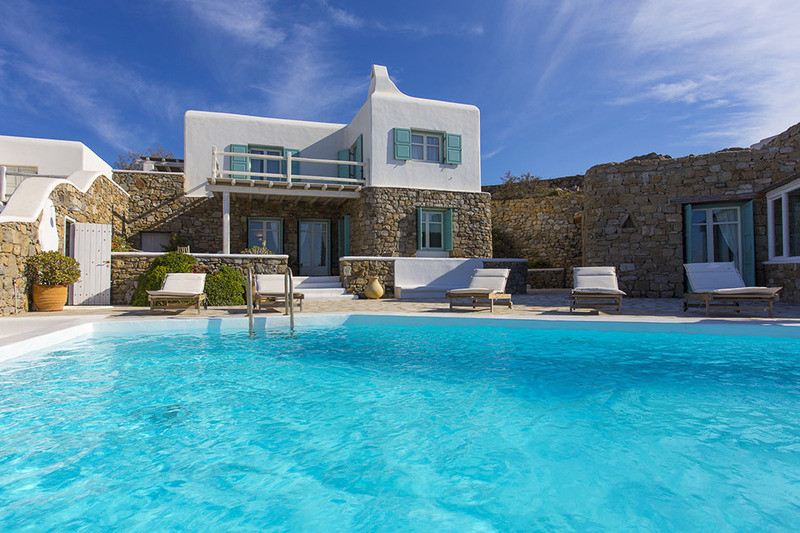 The close proximity to most of the southern gold sandy beaches of the island, such as Saint John and Ornos, and to Mykonos town. 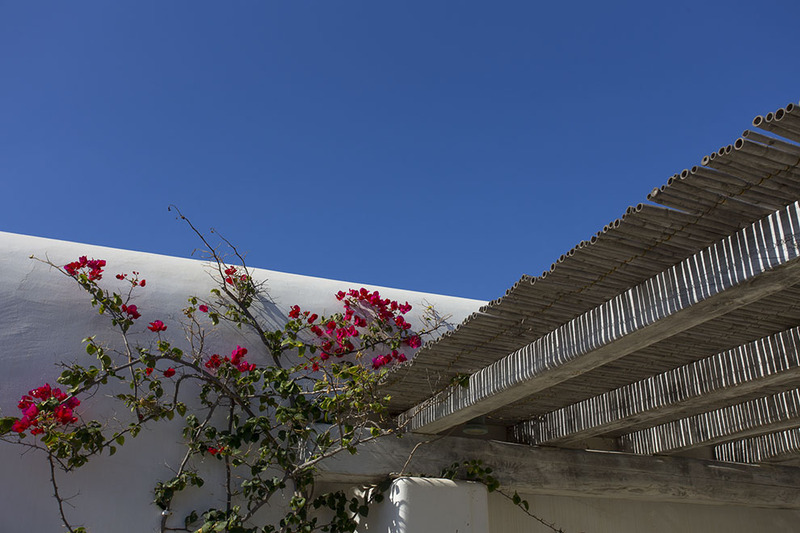 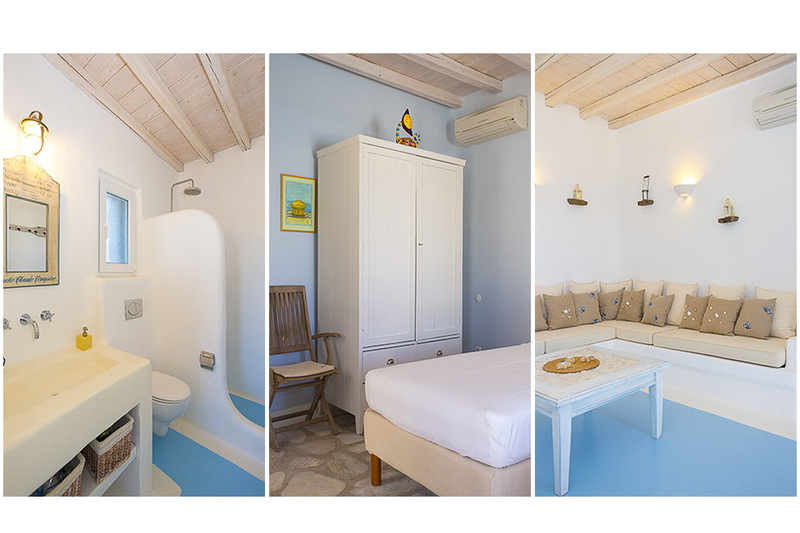 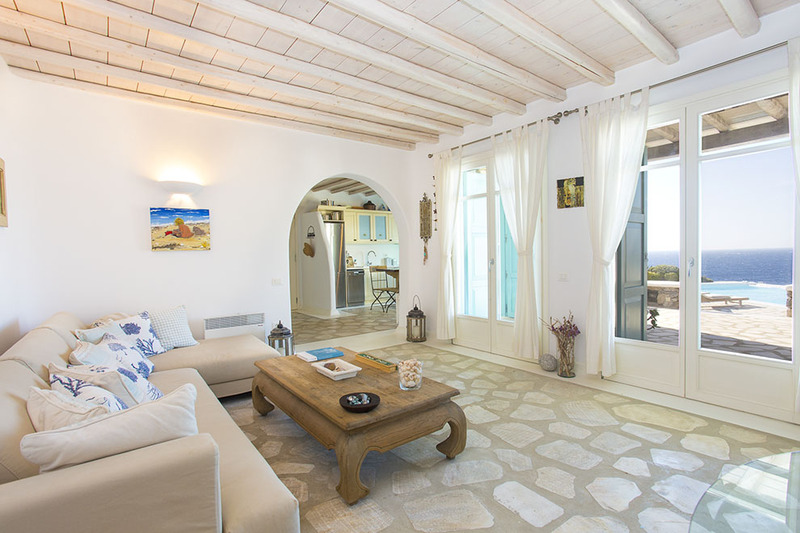 The distinguishing feature of this luxurious villa is the combination of the Mykonian traditional architecture with the modern minimalistic style. 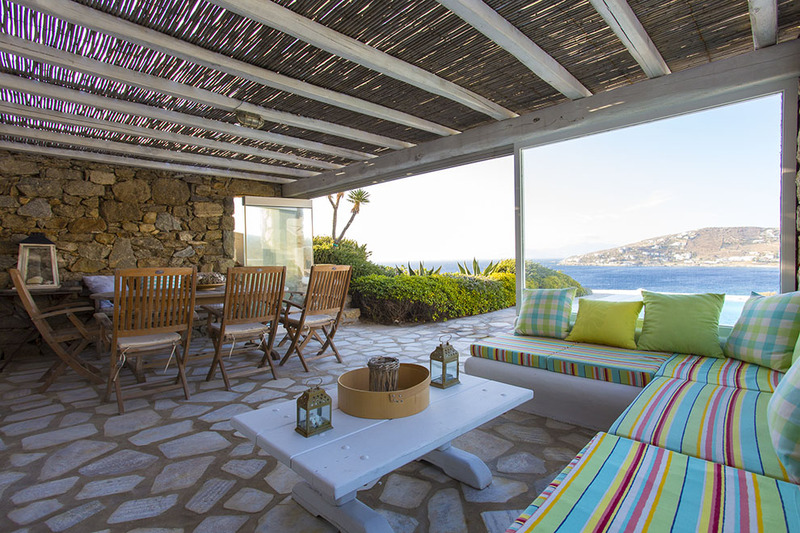 The amazing exterior boosts large outdoor seating and dining areas with pergolas creating an environment ideal for relaxation and comfort. 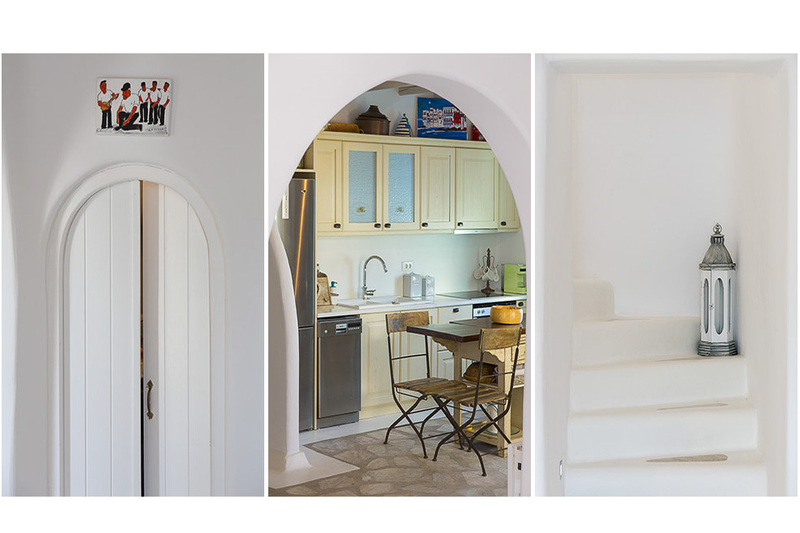 The interior is really fantastic and classy furnished with unique objects and artifacts with wooden details. 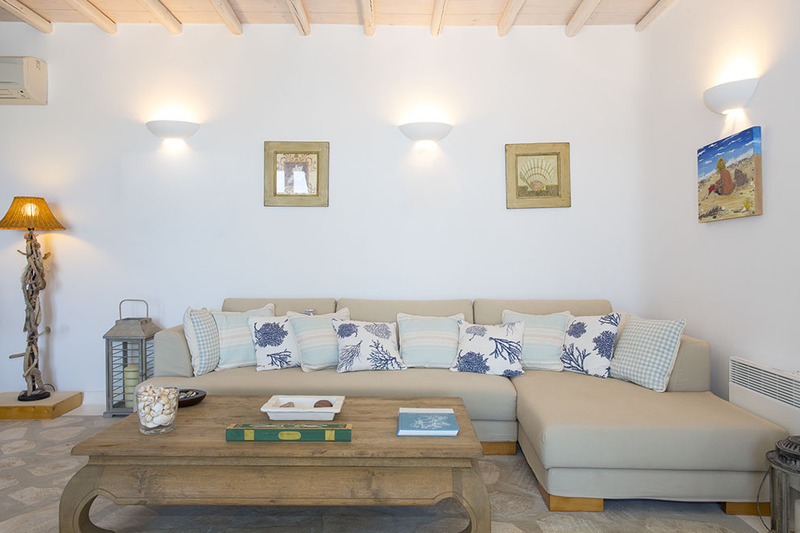 There is a beautifully decorated spacious living room with a magnificent view to the sea, with direct access to the large swimming pool, offering moments of recreation and wellness. 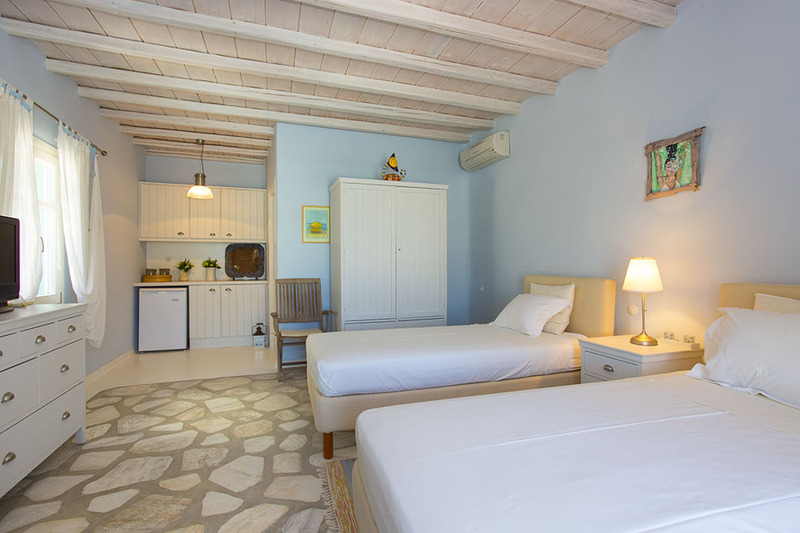 The en-suite bedrooms with the king-size beds provide absolute relaxation and coziness. 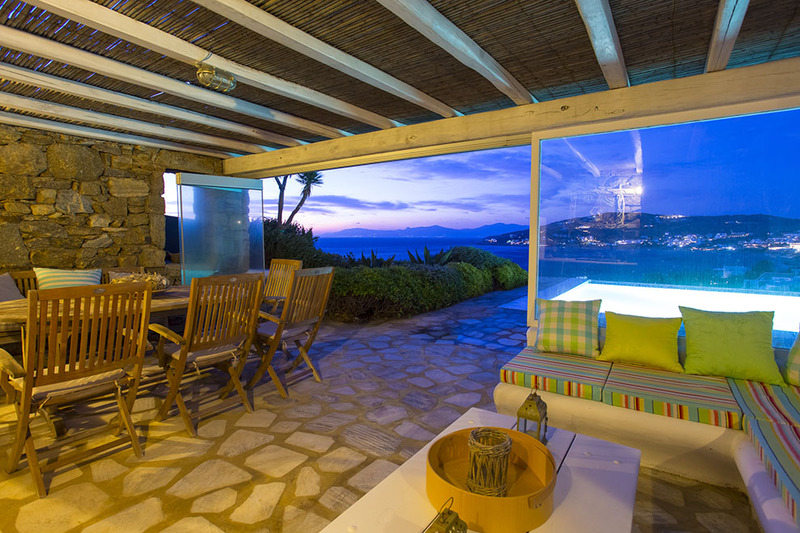 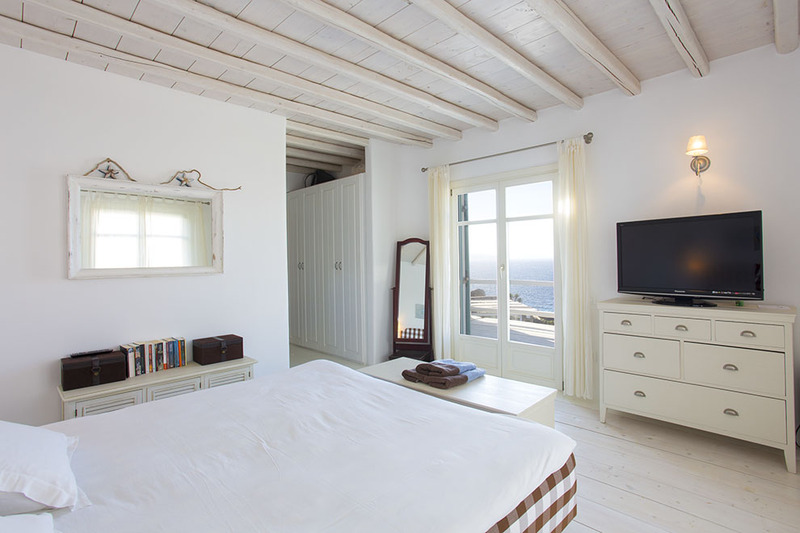 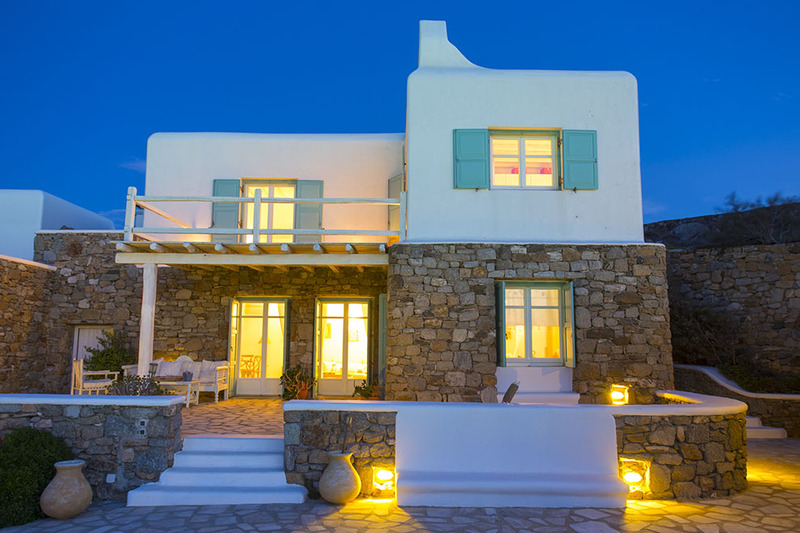 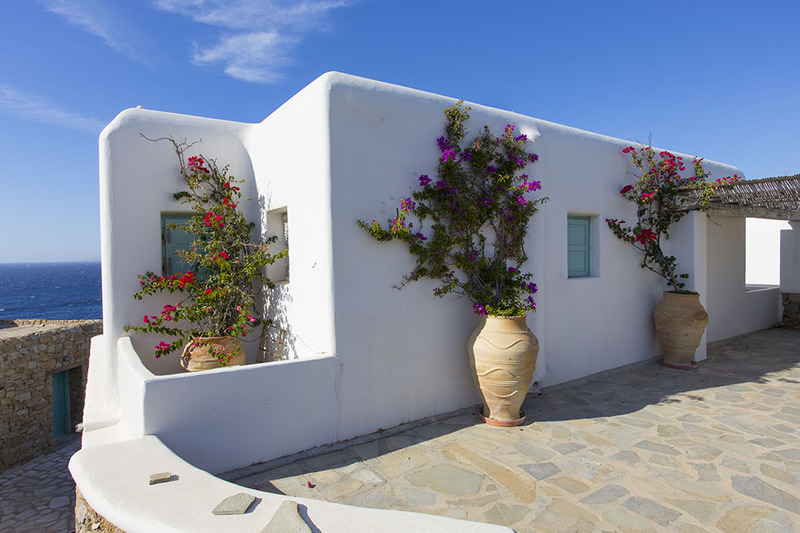 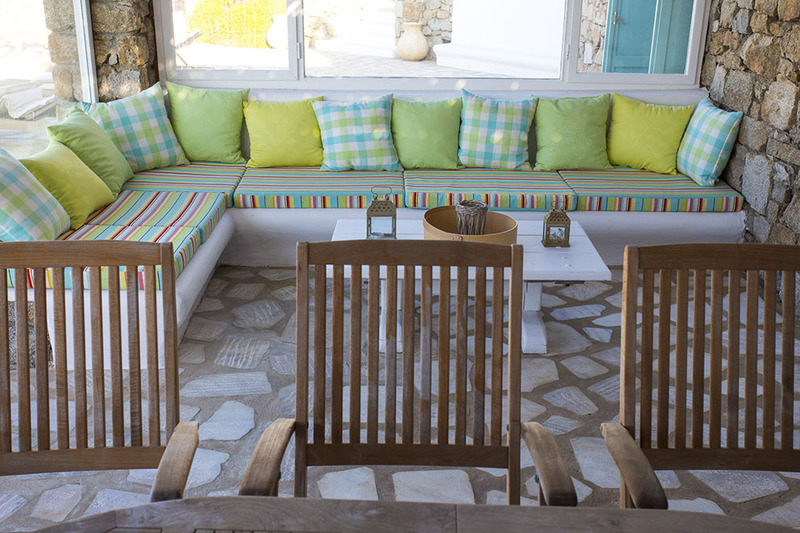 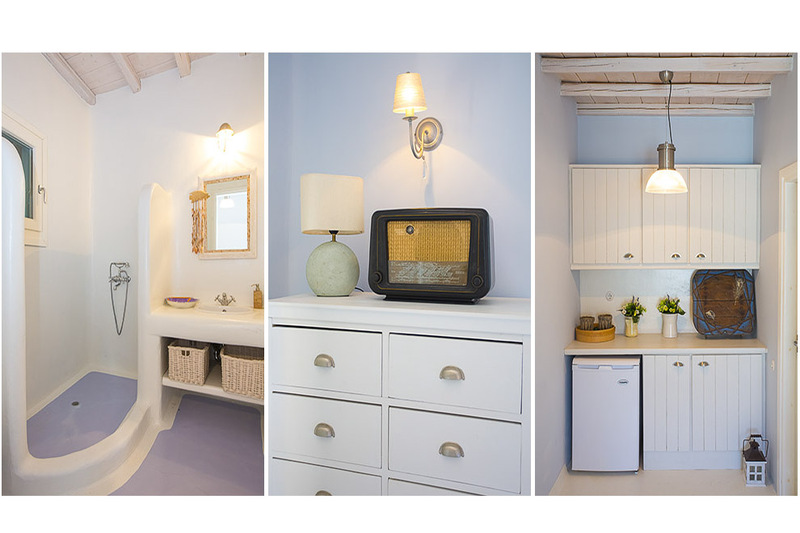 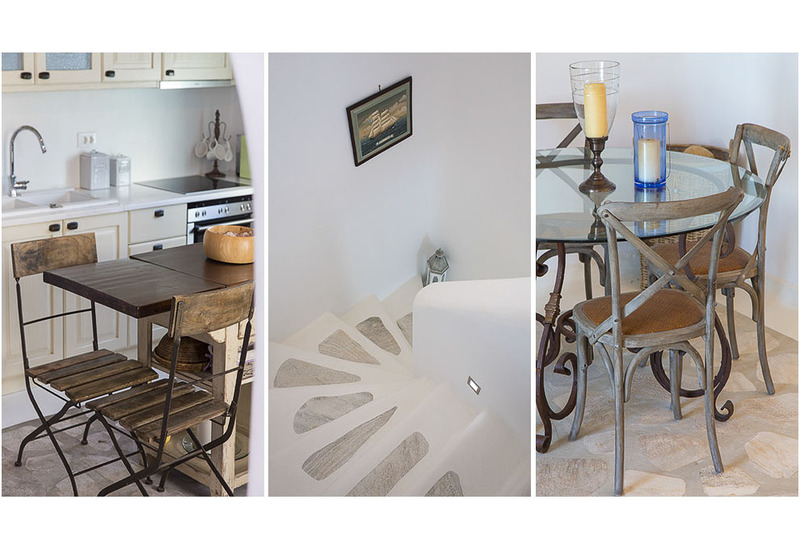 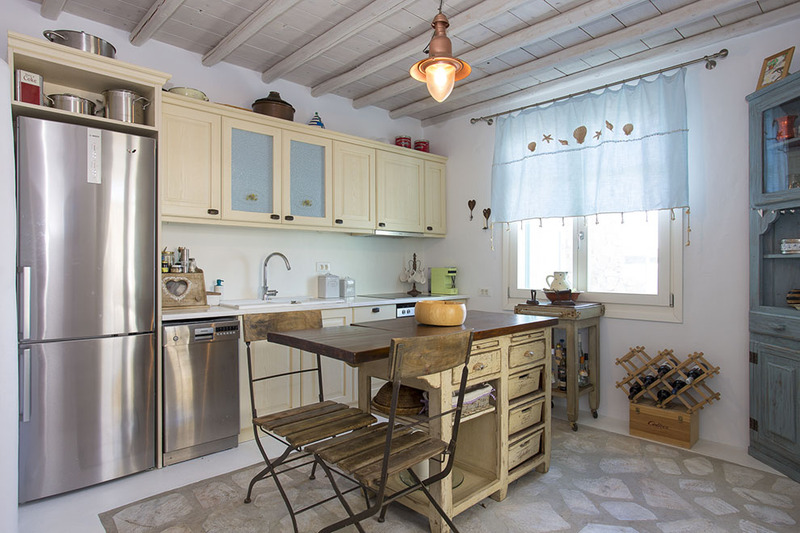 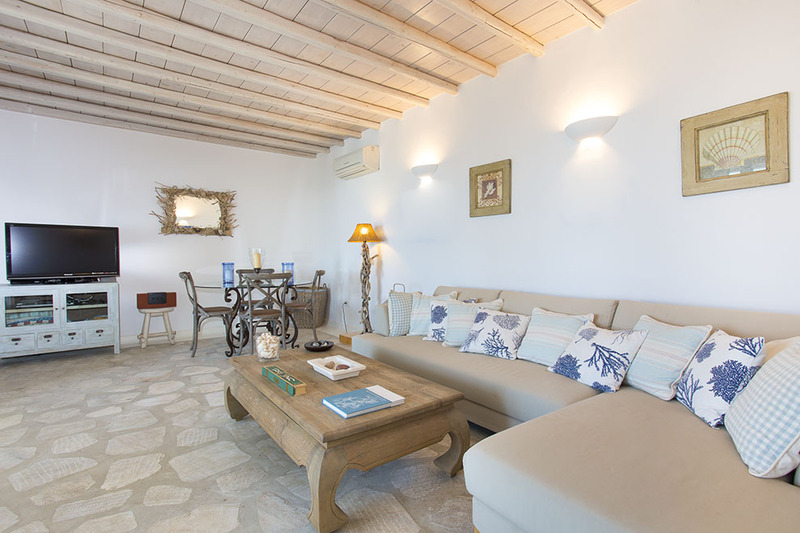 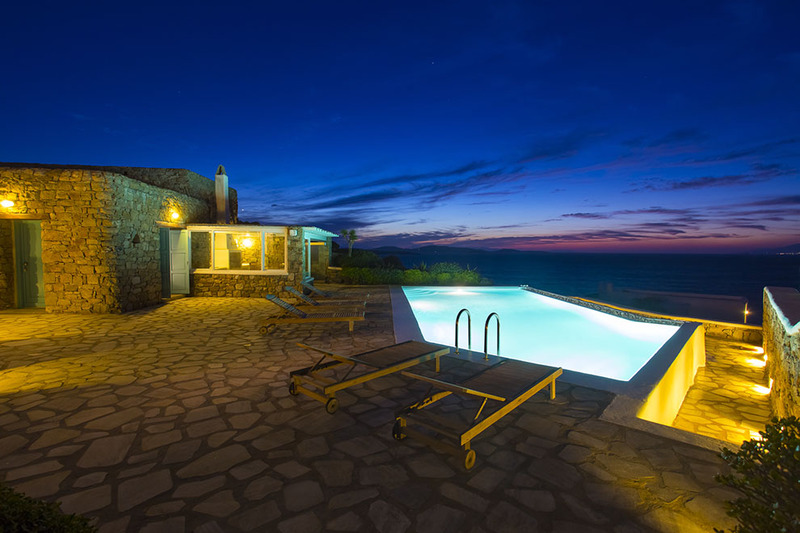 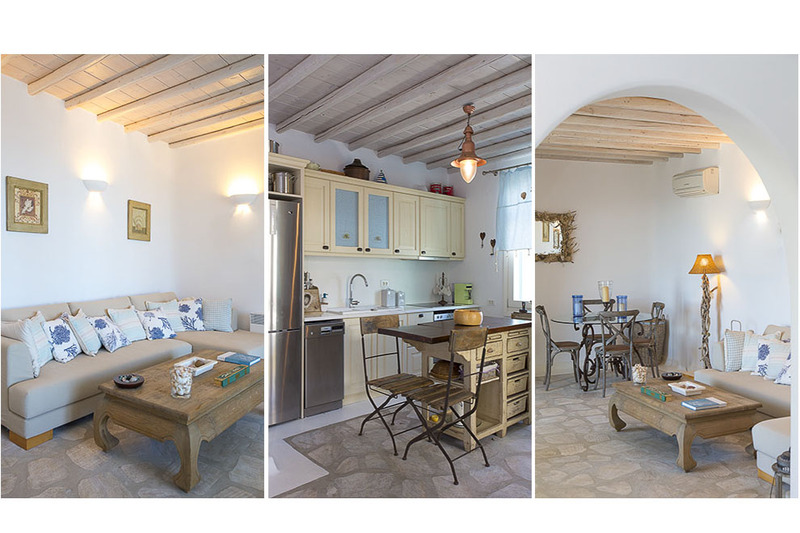 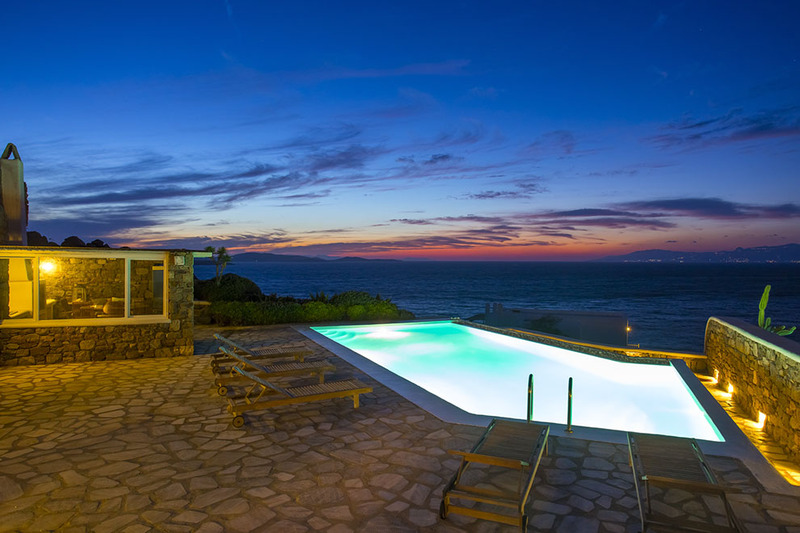 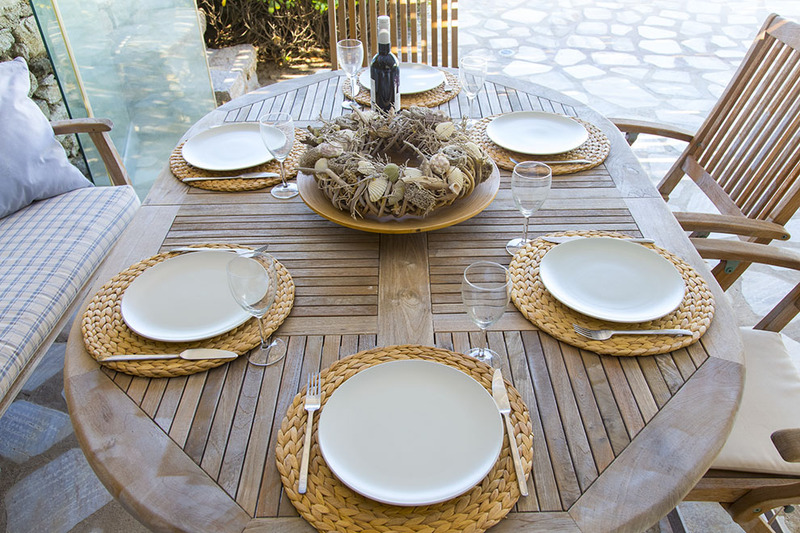 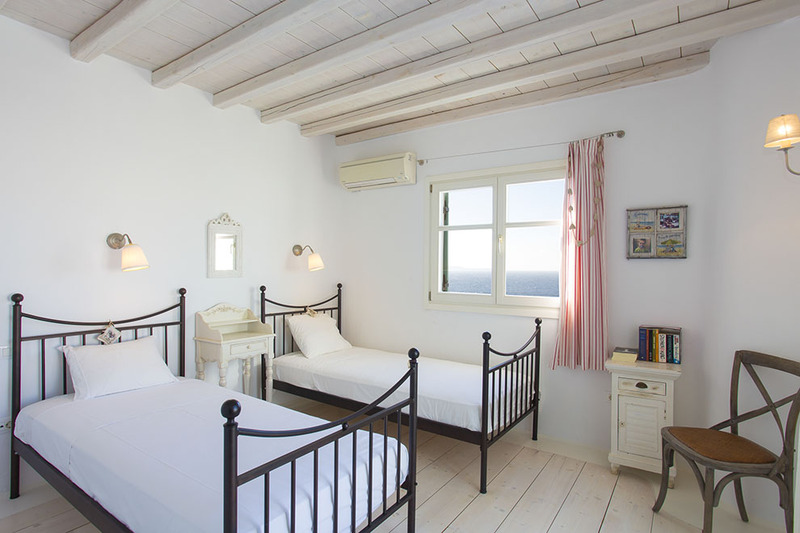 Villa Sun Shine Two is the best accommodating place for guests who seek to live an amazing experience in a private residence very close to famous Mykonian sandy beaches and to cosmopolitan Mykonos town.